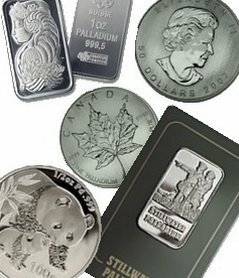 If you keep up you probably already know that the most popular palladium coins are the palladium Maple Leaf. It would be quite interesting to the non-palladium investor that the palladium Maple Leaves coins were only coined for three years. The Canadian mint coins palladium, but the Maple Leaf wasn't a popular palladium coin; although the gold and platinum Maple Leaf is quite popular. 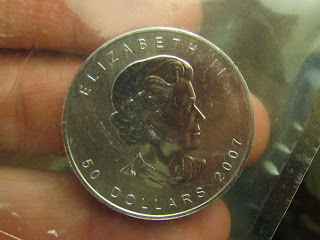 There were 60,000 2005 Palladium Maple Leaf coins made. This was the first year of issue. However, there were some Palladium Maple Leaf "test" coins. They wanted to test the use for palladium coins in the market place. They made A and B, and there were only 150 of each made. These are the most expensive palladium 1 oz coins due to their scarcity. There were many more coins minted in 2006; nearly 70,000 to be precise. Those who wanted the palladium Maples could now easily invest. Palladium Constellation coins were also made. There were 300 for each season. Each Palladium constellation coin shows an adult bear and a cub. The constellation is in a different position for each season. Demand for palladium coins waned. 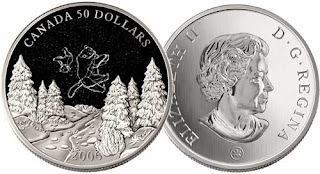 In 2007 there were only 15,000 palladium Maple Leaf coins minted. Since there are so few, they are harder to find. However, 15,000 is still a lot so they are not really selling for any higher than the 2005 and 2006 palladium coins. Now take a Chinese Panda, for example, of which only 3000 were minted, and they are worth a lot. I have palladium Maple Leafs, but I didn't have a 2007. Most Canada Maple Leaf coins go for around $350 on Ebay, regardless of the year. But, I was finding more 2006 cheap palladium coins for around $300, so I bought mostly 2006s. I wanted a 2007 palladium Maple to round out the set, so I found a guy online who was willing to trade. He was going to mail it, but instead, I found out that he lives 30 minutes from me! We didn't notice until we exchanged addresses. So, we traded, I gave him $10 gas money to say thanks for helping out, and we each drove away with the coins! I'm so happy I have my 2007!